Traditionally, the Telegraph and other media produce all manner of doom laden articles about the NRL at this point, bemoaning attendance and television audience metrics. Perhaps surprisingly for some, at the end of round 4, its all good news for the National Rugby League in 2018. The figures below should be read knowing that the Easter long weekend was three rounds earlier than in 2017, but at the end of the day, the NRL is up on attendance, tv ratings and memberships – these being three key metrics. NRL crowds are at a five year high for R1-4 since 2013, up 17% on the same time in 2017 with an average of 16,952 and 542,461 people through the gates. 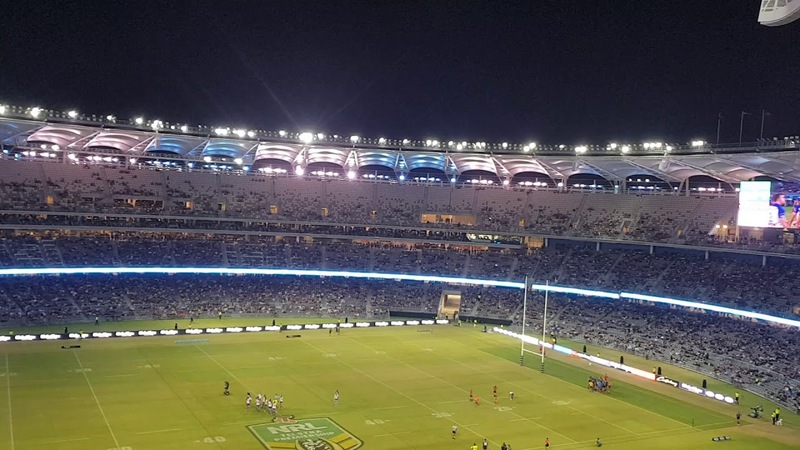 This has included a double header at the new Perth Stadium that attracted more than 38,000 and a second double header at ANZ Stadium that pulled in 25,000. NRL clubs and ANZ Stadium have taken a number of initiatives to boost attendances this season through ticket price reductions and reciprocal membership entry arrangements, and ANZ Stadium has made an effort to reduce food and drink pricing at the stadium. While the double header in Perth had double the attendance of previous single matches in Perth. The National Rugby League moved to simulcasting and broadcasting of all matches on Fox in 2016 (Note: Fox League launched in 2017). Mediaweek reported record ratings in week one and week two of the season. Metro audiences are up on last year – with an extra game on Free to Air on TV due to the Easter weekend – however these figures remain well down on the pre-simulcast numbers, remaining down over a million viewers since 2015, and almost 2 million since 2012. Regional audiences are at their highest point in 4 years to 3.586 million, while Foxtel ratings are also at an all time high at 7.893m (including Fox averages). Total ratings are at their highest point since the change in broadcast arrangements. 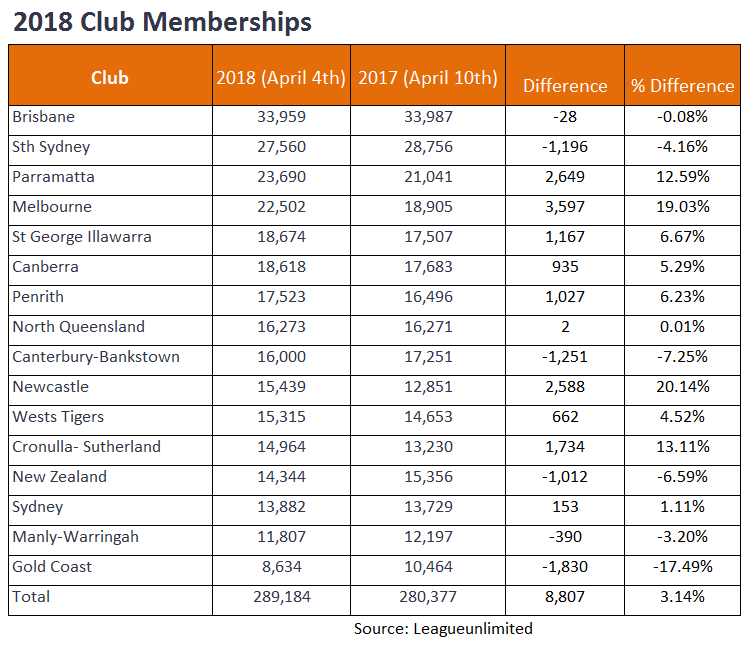 According to the good folks at League Unlimited and their membership tracker, total NRL club memberships are up more than 3% on the previous time last year, with big gains being made by the Storm (+19%), Knights, (+20%), Eels and Sharks (+13%). At the other end of the spectrum are the Titans (-17%), Warriors and Bulldogs (-7%).